An eight-year-old boy in the southern French city of Nice has been questioned by police following comments in which he expressed “solidarity” with the Charlie Hebdo gunmen. Initially, school authorities became concerned when the child refused to participate in a minute’s silence at his school to commemorate the Paris attacks which killed 17 people in January, Marcel Authier, the head of the region’s public security, said. At the time, the boy also expressed “solidarity” with the attackers. “He answered, ‘I am on the side of the terrorists, because I am against the caricatures of the prophet,’” his lawyer Sefen Guez Guez told BFMTV. However, when asked what terrorism is, the child reportedly answered that he didn’t know. The primary school in Nice reported the boy to police after the incident. “In the current context, the principal of the school decided to report to police what had happened,” Marcel Authier stressed. “We summoned the child and his father to try and comprehend how an eight-year-old boy could hold such radical ideas. Obviously, the child doesn’t understand what he’s saying,” he added. The child’s lawyer, as well as local human rights groups, opposed such treatment. 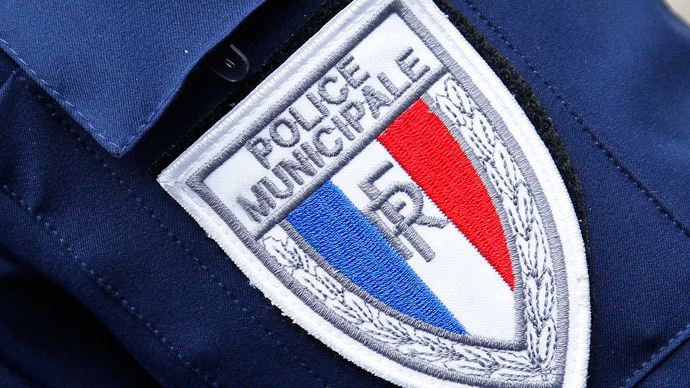 “A police station is absolutely no place for an eight-year-old child,” the boy’s lawyer Sefen Guez Guez said, according to BFMTV. The lawyer has also been posting on Twitter uner the name of S. Ibn Salah about the incident: one of the latest tweets reads "The child categorically denies having said, 'Death to the French'. He admits having said, 'I am with terrorists." L'enfant nie catégoriquement avoir dit à mort les français. Il reconnaît avoir dit je suis avec les terroristes. “Father and son are deeply shocked by their treatment, which illustrates the collective hysteria that has engulfed France since early January,” the Collective Against Islamophobia (CCIF) said in a statement.